Roma’s fate is pretty much sealed now: defeated 2-0 in the Stadio Olimpico of Rome, only a miracle could save the Giallorossi from European elimination. Manchester United was perhaps just too strong, or perhaps the absence of their talismanic captain was a cross too heavy for Roma to bear. It the end, it won’t matter much… but it’ll sure be a pity to see the last Italian league representative say goodbye to Europe next week. 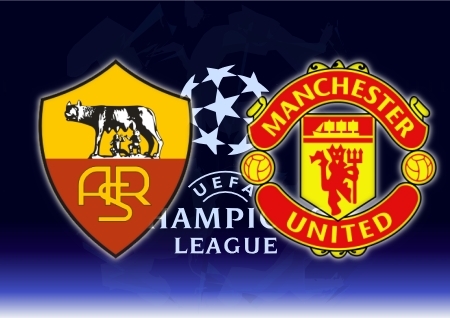 ROME, 1 April 2008 – It ended badly once again for Roma, with the Giallorossi going down 2-0 at home, in the first leg of the Champions League Quarter-Final against their usual enemy, Manchester United. A team continuing to cause heartache in the Roman capital. The English side did not play a great game but were unstoppable in front of goal. Unsurprising really, if one considers that the names on the scoresheet were those of Cristiano Ronaldo and Wayne Rooney, two players who, when in goal proximity, do not know the definition of ‘mercy’. Roma did not play a great game either, but certainly could not be faulted for their commitment. However, the Giallorossi came unstuck against a very compact and cautious United side, and were far too wasteful with their chances (a recurring habit unfortunately these past few years, and one that Roma is having trouble getting rid of) and paid dearly for the few defensive mistakes they committed. Roma even risked conceding more towards the end, which would have perhaps been a little unfair in light of the team’s performance. Two things emerged at the end of Tuesday night’s game: qualification to the next round looks very unlikely now (it would be silly to say otherwise), and the Red Devils have become a true curse for the Roman side. Indeed, in the 5 matches the two have played over the past year, Roma have lost 3, drew 1 and won 1 (the win proving to be useless over the two legs). Without forgetting the 7-1 thrashing. It was a real pity as this Roma side deserved more luck in light of the team’s displays in this season’s Champions League, at least with a scoreline that would have enabled the Giallorossi to have a real go in Manchester in 8 days time. In particular, the fans at the stadium also deserved this, as they continued to spur on the players even when the result was already beyond doubt. Italy will now almost certainly find itself without any representatives in the semi finals of Europe’s premier competition. The first half was not great in terms of spectacle, but undoubtedly interesting to watch for footy cadets, with United giving Roma a real lesson in cynicism: maximum result from minimum exertion. Roma enjoyed a little bit more possession than their opponents and even (in all honesty) had a few more scoring chances, in particular through a Christian Panucci (named captain in the absence of Totti) header wide, and a Mirko Vucinic (very lively but not always precise with his plays) shot over the bar. However, with Ferguson filling up his midfield (and keeping Tevez out all the while sacrificing Rooney wide on the left), the game simply did not take off. Ronaldo was playing as an out & out striker (thereby reducing his usual ‘score-lots-of-goals-as-a-winger’ effectiveness), forced often to play the ball with his back to goal, something certainly inappropriate for a player of his style. Unable to take on defenders one on one and revel in the space on the wings, the Portuguese star had a tough match for a good period of the first 45 minutes… until he scored that is. Unable to raise the rhythm of the game (the Giallorossi were showing odd glimpses of class, but missing the usual impetus that makes them a such a fearsome and fun side to watch -it would be too easy, and perhaps a little unfair on the substitutes, to point to the absence of Totti), Roma failed to create any real chances and eventually allowed United to score first, with the visitors’ first shot on goal. Rooney spread the ball out to Scholes with a great piece of skill, who then put in an inch-perfect cross for Cristiano Ronaldo who got in ahead of Cassetti to place a powerful header beyond Doni. 1-0 Man Utd, with the Portuguese scoring his 7th goal in the Champions League (more than anyone else in the competition this season). United went in 1-0 at the break, with Roma a little unfortunate, despite failing to shine. The second half got underway without any changes. Ronaldo was wrongly flagged for an offside, and Max Tonetto twice came close to scoring, first with a close range shot, then with a cross-shot that tested Van der Sar’s jumping abilities. Panucci then failed to convert from close-range, as his left-footed volley following a great Mancini headed flick ended way over the crossbar. Roma insisted, pushing forward and trying their luck. Spalletti brought on Ludovic Giuly (on for Taddei) to try and add some fresh impetus and inject speed in the Roma attack. The Giallorossi came once again close to opening their goalcount for the night, as a David Pizarro corner found the header of Mirko Vucinic and forced Edwin Van der Sar to a great reflex save (Ferdinand then cleared the danger, with Mexès ready to apply the finish). However, this was not Roma’s night and the demonstration came with United’s second goal in minute 66. The Red Devils, in merciless form, extended their lead thanks to a fortunate rebound, with their first shot on goal (wow… again???!) of the second half. An Owen Hargreaves (on for Anderson) long cross from the right wing, was redirected by Park’s head across goal. Doni’s mistimed clearance only went as far as Panucci, who unable to deal with the ball, allowed Wayne Rooney to take possession and score one of the easiest goals of his career. 2-0 Man Utd and effectively game over for Roma. The goal shattered Roma’s confidence, and the Giallorossi for the first time in the game began to lose their way. Cristiano Ronaldo proceeded to hit the post with a right-footed blast from distance and shave the crossbar with a volley, while Carrick missed a sitter from the penalty spot. It was obvious at this point that Roma had given up, despite their coach’s best efforts to push them into attacking more. And so they did, they pushed forward, but more for pride than with any real conviction. It was too late anyways, as Belgian referee Frank de Bleeckere called full time and brought Man Utd’s 2-0 away win to a close. In a week’s time, unless a miracle happens, Roma will be out of the Champions League. Saddened as they will undoubtedly be, the Giallorossi will still be able to look back at a fine run in this season’s competition, something certainly worthy of note. ROMA (4-2-3-1): Doni – Cassetti (68’ Cicinho), Mexès, Panucci, Tonetto – De Rossi, Pizarro – Taddei (59’ Giuly), Aquilani (76’ Esposito), Mancini – Vucinic. (bench: Curci, Ferrari, Antunes, Brighi). 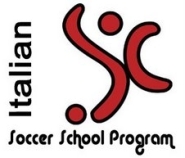 Coach: Spalletti. MANCHESTER UTD (4-1-4-1): Van der Sar – Brown, Ferdinand, Vidic (33’ O’Shea), Evra – Carrick – J.S.Park, Scholes, Anderson (55’ Hargreaves), Rooney (84’ Tevez) – C.Ronaldo. (bench: Kuszczak, Piqué, Silvestre, Giggs). Coach: Ferguson. This entry was posted on Wednesday, April 2nd, 2008 at 4:13 am	and is filed under English Premiership, Roma, UEFA Champions League. You can follow any responses to this entry through the RSS 2.0 feed. Both comments and pings are currently closed.